Find a Palliser retail store in your local area using our dealer locator. 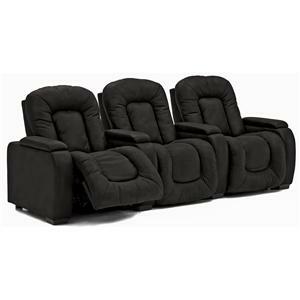 This three-piece theater seating group features everything you need to recreate the movie theater experience in the comfort of your home. Wedge-shaped armrests create the sectional's unique curved shape and feature built-in cupholders for added convenience. 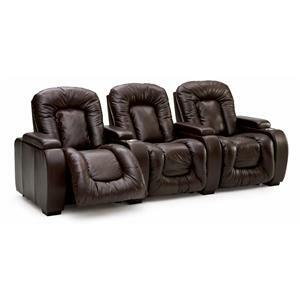 Optional power reclining lets you effortlessly recline for enhanced relaxation. Choose from more than 300 leather and fabric upholstery options for a look that suits you. 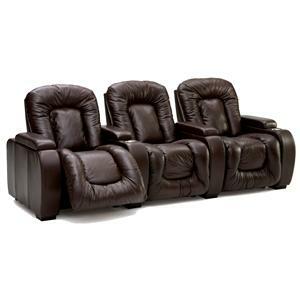 The Rhumba 3-Piece Theater Seating with Power Reclining by Palliser is available in the area from FMG - Local Home Furnishing. 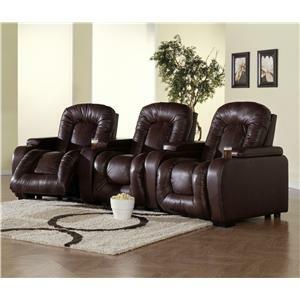 41918-5R Manual LHF Recliner 1 47" 39" 43"
41918-7R Manual RHF Wedge Arm Recliner 1 39" 66" 43"
41918-3R Manual RHF Recliner 1 32" 66" 43"
The Rhumba collection is a great option if you are looking for Casual furniture in the area.